To get to the Kharelthok Resource Center for Intellectual Disability, you leave the Kathmandu Valley, rising out of the hot, yellow smog of the city and into the diesel-fueled grand prix of the deadly Araniko Highway, known for its poor shoulders and steep slopes, and filled with long-haul truckers hopefully awake enough to keep their wheels straight. You plunge back down, this time into the green-and-loam valley pockmarked with factories where children lay out newly formed bricks to dry before they are heated in the minaret-like ovens. Then you climb again, through treacherous mountain switchbacks, at times having to stop to push your four-wheel drive out of ditches, or to wait while a construction crew finishes breaking up massive boulders ripped from the hills, until you reach a dusty clearing cut out of the slopes. 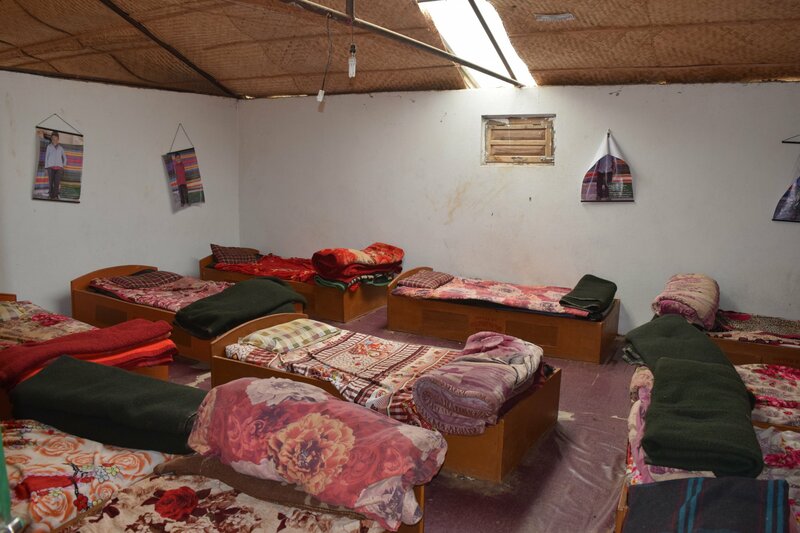 Forty children, with a range of serious developmental disorders, stay at the center; it is the only 24-hour facility in the Kavrepalanchok district for adolescents with these needs. Each has a bed and every day goes to class at the nearby Shree Bhagawati Higher Secondary School, for basic life skills guidance—it’s the kind of place that takes in a mentally disabled child whose parents tied him to an animal shed throughout his childhood, and work with him slowly, generously, over nine years, until he finally learns his name, how to put on clothes and how to get food from the plate to his mouth. The school also provides training in simple crafts like candle-making that, the center’s three teachers hope, could help some of them become independent someday. Natural disasters are arbitrary acts violence that could befall anyone who happens to have the poor luck to find themselves in the hurricane’s path or their homes built on the fault line of the earthquake. Nature pays no attention to the color of your skin or the size of your bank account; there is no dollar amount that will stop the winds of a blizzard from beating at your door. But the extent to which catastrophic events like these wreck lives, and the time it takes to recover, is another thing entirely. Which is why it always seems so much worse when they hit a place like Nepal—ranked by the United Nations as a “least developed country” and struggling to raise its economy and living standards up to global sustainable development goals. It’s as if Mother Nature suddenly turned malevolent. Even before the 2015 earthquakes rattled Nepal, the barriers to development were staggering. The slim country (about 150 miles wide) is crammed between and relies on the twin global powerhouses China and India, and has never developed a robust industry of its own. 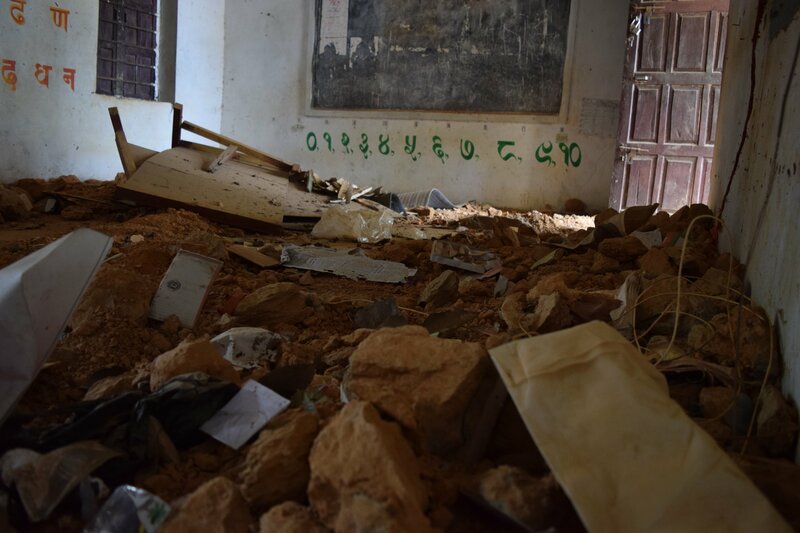 Meanwhile, many residents live in far-flung villages that pepper the mountainsides, making communication and service delivery difficult in good times, and impossible during the annual monsoon season—or when catastrophe strikes. Basic necessities like access to latrines and clean water are an ongoing challenge: According to Tripti Rai, the Nepal country director for the international non-governmental organization WaterAid, across the country only 25 percent of water systems were functional even before the earthquake. 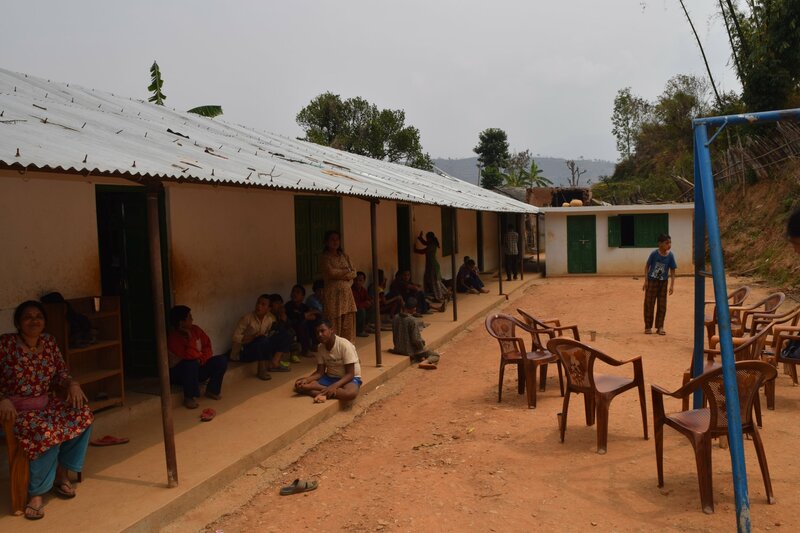 Within Nepal itself is a microcosm of the macro trend: “The earthquake cruelly, disproportionately affected those less able to cope or recover from its effects,” says Pippa Bradford, the Word Food Program (WPF) country director for Nepal. Those living in homes constructed with cheap materials saw them crumple; and the poorest, marginalized indigenous groups in the most far-flung villages waited the longest for help to arrive. Many are still waiting. In the recovery period, those who were already at risk of exploitation when the country was quiet are now even more imperiled. 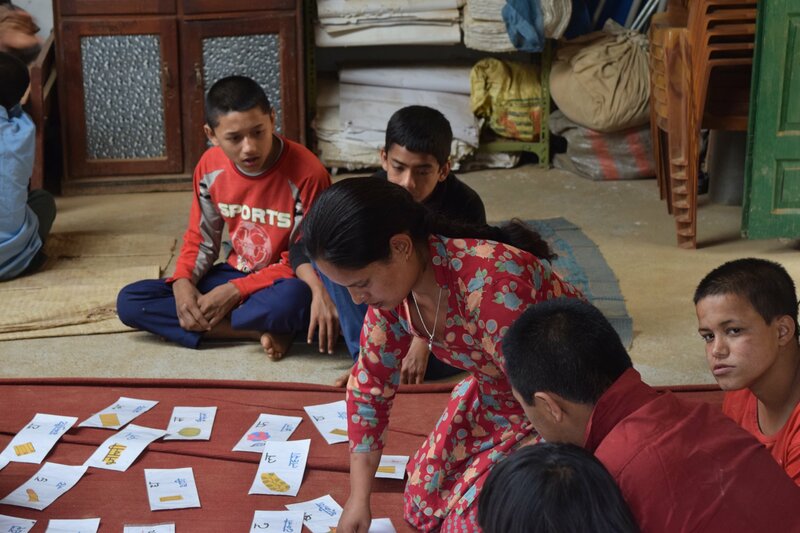 “Even in the best of the times, trafficking in and from Nepal is known to be rife,” says Tomoo Hozumi, UNICEF’s Nepal country office representative. Since the earthquake, he says, the Nepal police force has intercepted 1,851 persons from potential trafficking. By comparison, from July 2011 to July 2012, for example, only 118 cases of trafficking were reported to the police, according to UNICEF. In both time periods, the actual number of people trafficked is likely much higher. In some places in Nepal, NGOs and intergovernmental organizations are stepping in where the local government has stalled. “Pockets of vulnerability persist, particularly among certain ethnic groups and female-headed households,” says Bradford. “WFP’s work will be focusing on these groups.” In Kharelthok, the Kiradali Integrated Rural Development Research Center, with funding from WaterAid Nepal, has designed and project-managed the construction of a new, earthquake-resilient, disabled-accessible bathroom facility for the center.